Regardless of age, region or industry, employees are indicating their wish for continuous learning offerings at a growing rate and are actively seeking opportunities to contribute to the ongoing development of a company’s culture. According to a recent CGS survey, 43% of Learning & Development professionals say that re-mapping career paths/journeys/succession plans get the highest level of priority and is essential to their future success. When such opportunities do not present themselves, employees often jump ship for new companies and/or career paths. This is why business leaders need to devote time, money and careful assessment strategies to creating outlets for employees to make meaningful contributions. With the millennial generation standing as a gigantic and ever-growing percentage of the global workforce, a generation of workers who change jobs regularly, Learning & Development leaders need strategies for continuous learning or else they face continued employee turnover and a wide range of costs associated with loss of company productivity. Consider hiring costs: job ads, time spent reviewing résumés, screening and interviewing candidates, and completing background checks. According to Glassdoor.com, the average company in the United States spends about $4,000 to hire a new employee. When you add in time and effort to train new hires, and the knowledge and resources lost via departing employees, it is imperative that management offers resources, mentoring and performance bonuses that encourage employees to invest in the company long-term. For most of the Twentieth century, mapping out one’s career was rather straightforward. Starting at an entry-level position, employees often found promotions and mid to senior level management positions available after completion of a certain set of goals or even after completion of a set amount of years in one position. Mapping an employee’s career to professional and personal goals is no longer so clear cut. With major technological swings and heavy employee turnover rampant throughout many industries, employees are often taking on tasks or roles that were not originally in their job description. To make matters worse, the addition of new responsibilities often comes with no promotion or salary increase AND the expectation of getting all of the work done on time. It’s a sad reality but career counselors regularly inform clients that one of the best ways to attain a significant salary bump is by taking a better-paying job at a new company. 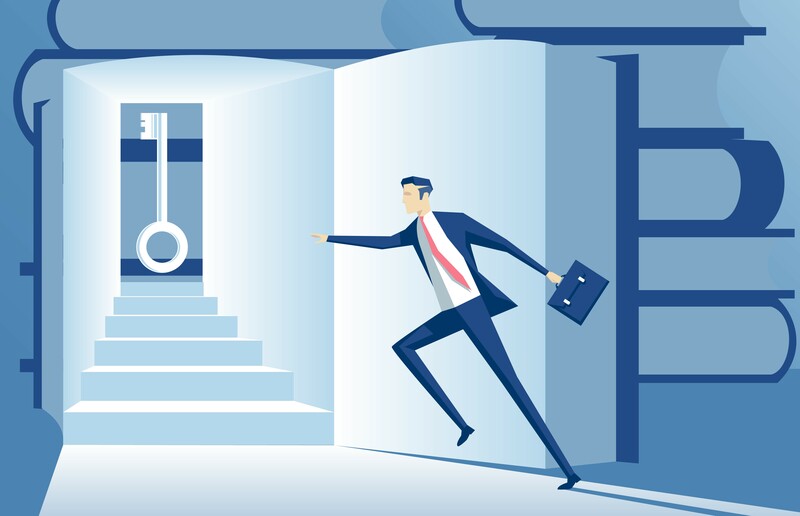 Why would an employee continue a career journey on a winding, unclear path when they can get better pay and a clear map to more immediate success at a new company? Amazingly, many for-profit and non-profit businesses use annual reviews as the only opportunity to discuss career mapping. Meanwhile, many managers argue that such initiatives are a waste of time resulting in little to no benefit. I would argue the first step in the change management process is to recognize the important feedback annual reviews provide, which is crucial for developing initiatives that help increase employee retention. Such reviews hold the employee and the employer accountable and assist in identifying flaws in the company’s goals, expectations and operations. But don’t stop there, continuous feedback allows employers and employees to navigate change in real time. Instead of viewing feedback as an annual gift, givers of feedback should perceive it as an investment. Viewing feedback as an investment can increase accountability for asking for and giving feedback on a regular basis and encourage the development of a feedback culture. As previously mentioned, millennial employees especially seek job opportunities where they can serve a meaningful role within a company. These employees don’t just want kudos! They want to share their talents and make a true and lasting impact on their team, the company and their communities. Through regular feedback and reviews, HR personnel can ascertain employee expectations and goals while also identifying potential tasks and forthcoming projects that align with the employee’s interests and long-term goals. Yes, setting up a feedback culture can cost a significant amount of time, but the information gleaned from the effort can reveal what will motivate an employee to stay and invest in the company. An invested employee leads to greater productivity, project success and company earnings. With a clear understanding of career goals, an assessment of her/his job performance and documentation on what is expected of the role in hand, we can move to a second step essential to remapping career paths and creating meaningful employee journeys: Continuing Education Opportunities. Yearly completion of Continuing Education Units (CEUs) is required by multiple associations in order for professional members to retain earned credentials. Yet, even workers in careers not requiring CEUs would benefit from routinely completing such educational opportunities, whether pursued through college coursework, online CEUs, or attending conference workshops. Employees can acquire new skill sets that will allow them to stay up to date on developments in their fields, which helps the employer maintain a skilled staff while employees stay competitive with younger generations just entering the workforce. Providing employees with educational opportunities also provides added incentive for employees to commit to the company. To keep the learning going, invite employees to present her/his newly acquired skills to management and coworkers. The ripple effect of this peer-driven effort can help train a broader workforce while also helping leadership to identify high potential talent. In industries where turnover is well above average, particularly retail and hospitality, mapping out a career path that will entice employees to remain is considerably more difficult. This is because such positions often leave little room for growth and advancement. Yet, through mentoring those in these positions and leading them to available training, employers inside and outside of the industry, often find these employees become more energized about their work and in turn become more productive. Regarding available training, local colleges and high schools routinely offer low-cost or free training workshops retail employees may use to train for leadership positions or work in completely different industries. Need some inspiration? See a few examples from Jet, Walgreens and Pilot Flying J and others. 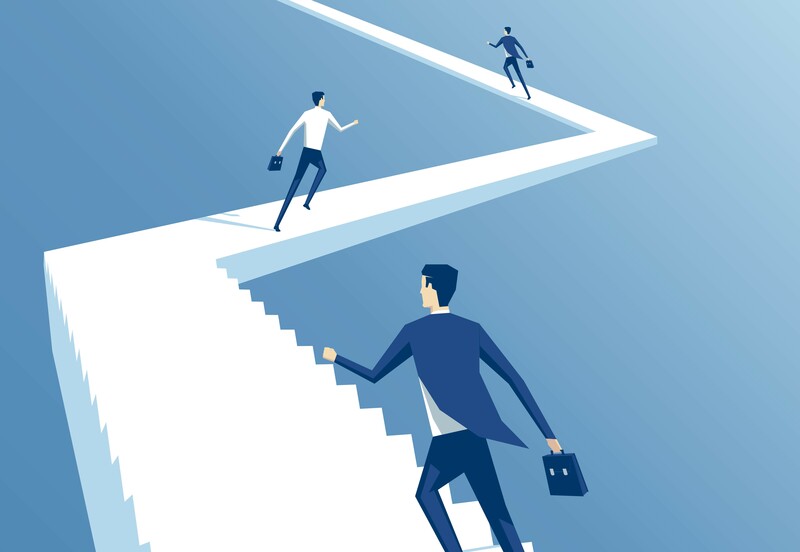 The CGS 2019 Employee Workplace Trends survey shows that the career path is often not clear from the start. Of just over 1000 employees surveyed, only 35% state that their company’s new hire experience sets clear expectations and goals. Further, 60% of employees are not sure how to attain new technical skills through work or they feel that they must learn these skills on their own. In light of these statistics, offering cross-functional staff development meetings on a bimonthly basis provides an opportunity to really map company goals to employee needs and vice versa. These cross-functional meetings are not to replace those in which leaders discuss operations, budgets and other employee/employer concerns. Instead, they are meant to be inclusive of leadership and high potential staff, augment change management efforts and strategize future-focused employee journeys. Over the last twenty years, I’ve found employers often sought five years of commitment from a hired employee while employees averaged changing jobs every three years. It’s time to measure employee retention (particularly after 60 days, 6 months, 1 year, and 3 years) while aiming for increased retention beyond five years. Simultaneously, measuring the percentage of managers hired from within the company will help identify remapping success and succession rates. My recommended benchmark for success: above 75%.